This very slick Spotify “Now Playing” display created by [Jon Ashcroft] is a perfect example of that principle. The hardware is so straightforward that it’s barely worth mentioning: a Raspberry Pi with a small HDMI display, tucked neatly into a photo frame. Nothing to get too excited about there. The real hook with this particular project is the software. Using Spotify’s excellent API, his software pulls down the current track information and stores it locally. It does this every ~4 seconds, checking to see if the track has changed. [Jon] isn’t thrilled with this brute force method, but it works for now. 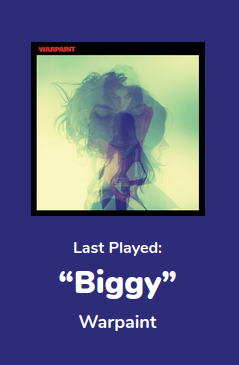 It displays the current playing song and artist, and uses a library called node-vibrant to extract a dominant color from the album art and use that to create a complementary background color. Very slick. [Jon] provides all of his source code and made it easy to connect to your own Spotify account, so don’t be surprised if you see this running on a “Magic Mirror” near you soon. Remember the days when the television was the most important appliance in the house? On at dawn for the morning news and weather, and off when Johnny Carson said goodnight, it was the indispensable portal to the larger world. Broadcast TV may have relinquished its hold on the public mind in favor of smartphones, but an information portal built into an old TV might take you back to the old days. It seems like [MisterM] has a little bit of a thing for the retro look. Witness the wallpaper in the video after the break for proof, as well as his Google-ized Radio Shack intercom project from a few months back. His current project should fit right in, based on an 8″ black-and-white TV from the 70s as it is. TVs were bulky back then to allow for the long neck of the CRT, so he decided to lop off the majority of the case and use just the bezel for his build. An 8″ Pimoroni display sits where the old tube once lived, and replicates the original 4:3 aspect ratio. With Chromium set up in kiosk mode, the family can quickly select from a variety of news and information “channels” using the original tuning knob, while parts from a salvaged mouse turns the volume control into a scroll wheel. It’s a nice twist on the magic mirror concept, and a little different from the other retro-TV projects we’ve seen, like a retro gaming console or an old-time case for a smart TV. [Hexxeh] is at it again, porting the chromium OS to whatever seems to appear in front of him. This time he’s ported it to the Nexus 7. Last time we saw him, he was raspberry chomping at the pi. The details are very scarce, so we would like to issue this request. 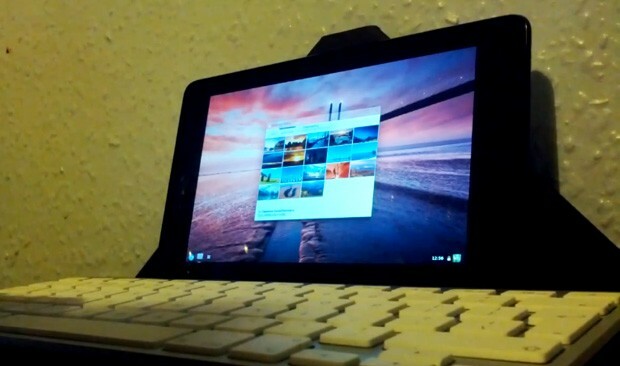 [Hexxeh] we realize you don’t think your every-day-joe would be up to the task of putting chromium on their nexus 7. This is Hackaday however, and we know that at least a few of our readers would LOVE to join you in your efforts and could possibly contribute to your fun. Share some details with us… please. You can see a video of it in action after the break. If you’re in possession of a Raspberry Pi, you may want to check out the new Chromium support for your tiny pocketable computer. With its terrifically minimal hardware requirements, the Chromium OS seems like just the thing for this $35 computer. The Chromium OS should provide a much faster computing experience for the Raspi compared to the current Debian and Arch Linux-based builds. Right now, the Chromium support for the Raspberry Pi is very much a work in progress but a slimmed-down, browser-only operating system may be just what the underpowered but useful 700 MHz ARM computer with 256 MB of RAM needs. The guys over at Xmarks are working hard to bring their bookmark synchronization service to all browsers and platforms. They’ve recently begun a closed alpha test for their Google Chrome/Chromium extension. We got an invite and decided to give it a test run. Since extensions aren’t yet fully supported, and still a bit buggy you’ll need to use the latest build in the dev channel of Chrome, which means at least version 3.0.196.0 or newer. We tested it on version 4.0.207.0 for Ubuntu with great success. The extension is still pretty basic since it’s still at an alpha stage, but works very well with synchronizing bookmarks across different platforms and browsers. Some of the things left out from the Firefox version are profiles, smarter search, site info and suggested tags. For an alpha release, it’s very well done and functions great, and we’re certainly looking forward to this extension as it develops further. Google Chrome made a huge splash in the past week, but will it really change the way you browse, and convince you to switch from your current browser? For those who want to play with it but don’t want Google to completely take over their lives, Chromium is the open source project behind Google Chrome. Linux and OS X users can also run Chrome using WINE, although success is not guaranteed. To make an educated choice, read Scott McCloud’s comic which explains the underpinnings. Make sure you’re aware of Chrome’s security vulnerabilities, and take advantage of Lifehacker’s guide to make your browsing experience as convenient and useful as possible. There are some great features, including the ability to log into multiple Google accounts using its much-lauded Incognito mode, which prevents Google Chrome from logging information on your browsing and downloading habits (websites you browse can still track your information). For convenience, you can also install Chrome on a USB drive, and take it anywhere with you. Explore the many Google Chrome blogs that have popped up to provide advice on hacking and tweaking the browser. Or you could just get all your information from 4chan.